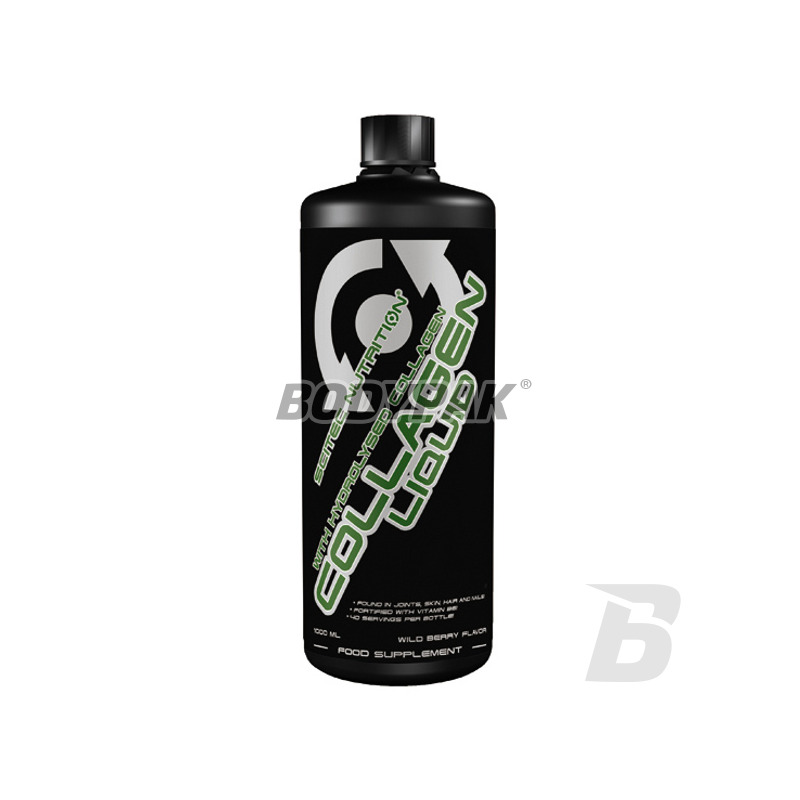 Liquid Scitec Collagen - Collagen is a tough, fibrous protein which is an important component of bone, cartilage, tendons, ligaments and other tissues (skin, nails, hair). 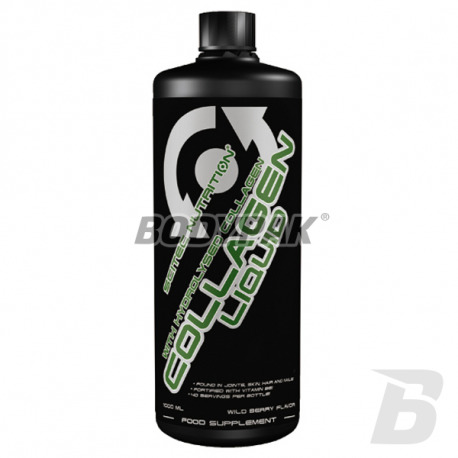 The body needs collagen for the purpose of protecting and strengthening. Scitec Collagen Liquid is hydrolyzed collagen formula in liquid digestible, ensuring maximum effect. Our joints, bones and tissues are composed of collagen. The collagen in the body is to replace 30% of the total body protein. Our epidermis 75% is made up of collagen. Ending 25 years of age every year we lose 1.5% koleganu in the epidermis, which is why the padding is so important to maintaining a healthy and elastic skin without wrinkles. Collagen is the skin off an important structural substance of bones, joints, muscles, tendons and tissue Tower. Scitec Collagen is a supplement to the daily diet with essential amino acids for the synthesis of collagen, the most important component of articular cartilage in humans necessary at intesywnym exercise, moreover, thanks to collagen utzymamy skin in good condition will improve the appearance and strengthen hair and nails. Scitec Nutrition Collagen prevents the catabolic breakdown cartilaginous mass, improves nutrition of cartilage, stimulates the regeneration and reconstruction processes in the joints, keeping healthy collagen base in the joints. According to research 95% hydrolyzed collagen (used orally) is absorbed in the body for 12 hours. Składniki: Woda oczyszczona, Kolagen hydrolizowany, Fruktoza, regulator kwasowości (Kwas cytrynowy), Glicyna, substancja konserwująca (Sorbinian potasu), aromat (jagodowy), Chlorowodorek pirydoksyny, substancje słodzące (Acesulfam K, Cyklaminian sodu, Sacharynian sodu), emulgator (Mono- i diglicerydy kwasów tłuszczowych). Faktycznie skutecznie regeneruje stawy! Nie polecam nikomu doprowadzić organizm do braku kolagenu - nieprzyjemnie się funkcjonuje..